In its first year, the Express Entry program allowed more cooks and food workers than engineers and professors to apply. Launched in 2015, the Express Entry system aims to fast track permanent resident applications for immigrants who meet certain criteria. The goal is to match the supply of immigrant labour with the demand for skills in Canada. The results of a new immigration program meant to match the flow of foreign workers with Canada’s job market should be a wakeup call for policymakers, experts say. 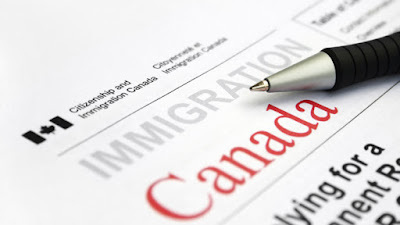 Under the new Express Entry system, immigrants applying for low-wage, precarious jobs in Canada are being favoured over those applying for more professional positions, said Toronto immigration consultant Parmjit Mangat. Mangat worries the policy means new immigrants may not find stable jobs and could be at risk of having their rights violated by employers. The problem is particularly acute in Toronto, which is both a top destination for immigrants and a growing hub for precarious employment – more than half of workers in the city are in part-time or contract jobs, according to a 2013 United Way report. In its first year, the government saw 191,279 profiles created under the Express Entry system. Of those, 31,000 were issued invitations to apply for permanent residency. There are hundreds of job categories in the system, but food service workers and cooks accounted for 16 per cent of all invitations. Food service workers are being invited to apply for permanent resident status even though they don’t have job offers on the table, Mangat said, while others — like engineers and university professors — are bypassed until they find work. “This whole process needs to be fine-tuned to better determine what kind of people Canada wants,” he said. There is an ongoing shortage of workers in the foodservice industry, but Mangat said it’s because of “turnover … due to poor working conditions. “The turnover is a clear indication that employer abuse of migrant workers in the food sector is extremely high,” said Syed Hussan with the Migrant Workers Alliance for Change in Toronto. Hussan’s group has dealt with cases of migrants being unjustly laid off or forced to work overtime without proper compensation. Norman Valdez knows about the employment challenges new immigrants can face. The 49-year-old Filipino came to Canada in 2008 after signing a contract with a fast food company in Calgary that promised him 44 hours a week at $10 per hour. Instead, he worked 20 to 25 hours a week with no benefits. He quit after less than a year. “Life was way below standard,” he said.